Pakistan Science Club announces its 3rd Science Exploring Camp aims to promote scientific learning Parents will be very proud by watching their child grasping the actual working of the scientific theories that they study at their schools and these activities are done to take the understanding of the child to a new height. As per students demand we have split our camp into two groups. Junior’s Science Exploring Camp offer unique “minds-on/hands-on experiences for children ages 7-13. We appeal to those who have a genuine interest in how things work, what things are made of—and real world science! 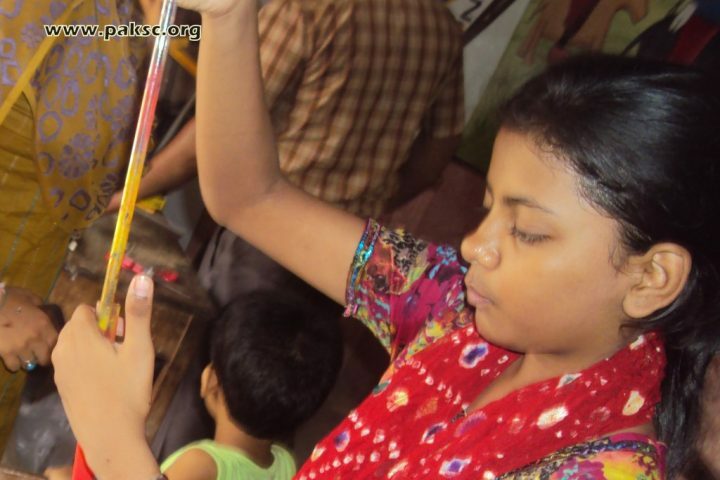 Our Junior Science Exploring Camp 2012, has a vast range of Activities that gives your child an opportunity for the life time to explore, learn and grasp the concepts and ideas from Physics, Biology, Chemistry, Astronomy with fun and activities. Brainstorming the young minds to explore the hidden genius in themselves is one of the major aims of the Junior Science Exploring camp 2012. Mind boggling Competitions are specially devised to let these young Scientists to come up with their very own ideas and demonstrate and testify them. Fun and Magic Science is also the part of Junior Science Exploring Camp 2012. it aims to learn the incredibly unbelievable science behind the magic tricks and fun activities that stuns and amaze you with pleasure. Engineers Exploring Camp for Science Passionate students where students will learn to design things ranging from skateboards to rockets to robots! Engineers Exploring Camp is specially devised in a way that the students have good experience to explore and learn the concepts and ideas of Electronics, Mechanical Engineering, Civil Engineering and Aeronautics. Besides exploring and learning these Engineering, Engineers Exploring Camp has specially focused on presentation skills that has least focused and neglected. Pakistan Science Club understands the importance of selecting career. Our Engineers Exploring Camp also has career counseling session. Some of the doctorates and engineers from abroad will be specially appearing in career counseling sessions online to guide young engineers. Safety and precautions are the most important the field of engineering. One small error and mishandling the gadgets and instruments may land of the life long loses. Engineers Exploring Camp has therefore devised an special program to give young engineers the idea about the use of scientific instruments and safety precautions.